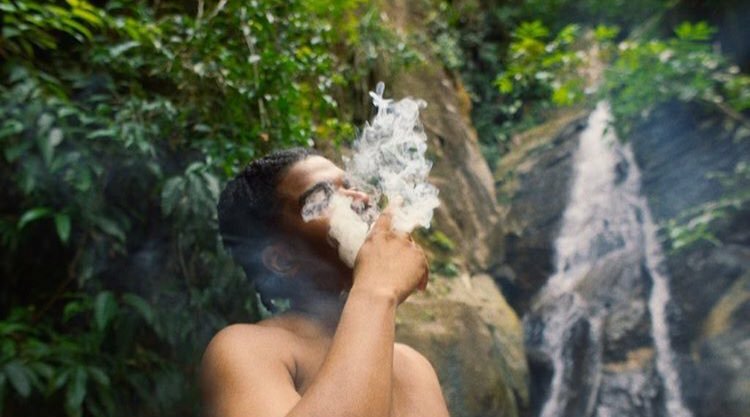 St. Louis’ own exuberant young rapper Smino broke out last year with his debut full-length, blkswn. 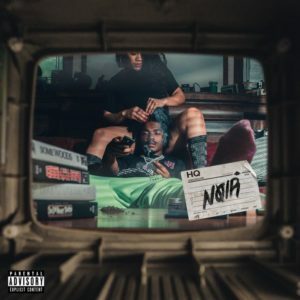 His new album NOIR makes good on the promise of that first release, offering a uniquely creative combination of hip-hop styles and delivering his woozily energetic point of view over it. Addictive single “KLINK” is a great first taste: an oddly shrieked chorus and swaggering beat will lodge themselves in your head for days. Another great song for the stoner crowd is “Tequila Mockingbird,” which has the catchiest fusion of dub/reggae and hip-hop I’ve heard in years. At 18 tracks, NOIR suffers from the very-2018 problem of being overlong. On the other hand, the way Smino deftly tours through current sounds, beats, and tones makes the whole thing compulsively listenable. This being a creative, catchy hip-hop record with a hell of a vibe, I’d recommend smoking some kind of OG Kush cross while listening to it. My first pick is Sweetwater Farms’ Java Kush, an indica hybrid that, like a full listen to Smino’s NOIR, provides tons of complex, funky flavor and a refreshingly creative atmosphere. The last five years or so have seen a fresh crop of talented indie singer-songwriters enter the playing field, the most acclaimed of which include Julien Baker, Phoebe Bridgers, and Lucy Dacus. All three artists have released solo full-lengths in the last year and a half, which makes their current gig as a supergroup, entertainingly titled boygenius, quite impressive. Yes, their debut EP is only six songs, half of which started as solo tracks by each of the three, the other half developed together in studio. But the treasure of this EP is in the way Baker’s emotional catharsis, Dacus’ empathetic warmth, and Bridgers’ thoughtful sadness compliment and combine with one another. The trio’s voices sound absolutely heavenly in harmony, too, making the climactic track “Salt in the Wound” one of the can’t-miss performances of 2018. 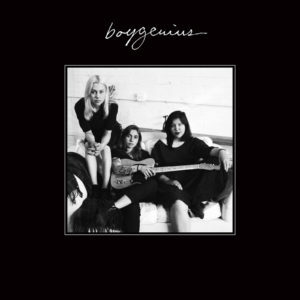 The boygenius EP is a listening experience designed for a PNW fall; ideally you should cozy up in a blanket with a hot drink and a big bowl of indica weed while the rain falls. My favorite is Do-Si-Dos and all of its genetic crosses. We currently have NW Grown Do-Si-Dos and Virginia Company’s Raspberry Dosidos, and both are excellent choices for the happy comfort they provide. 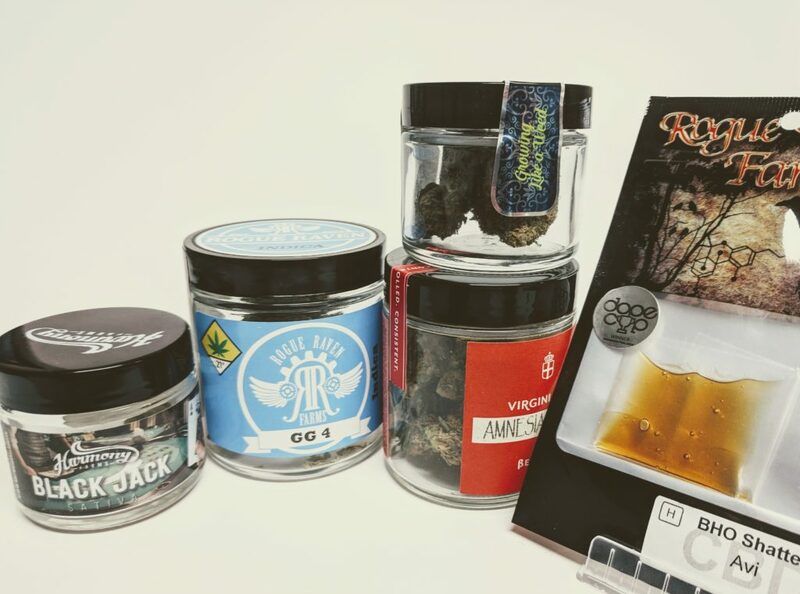 Soothe yourself with indica weed and indica music. Despite his winking assertion in 2013’s “Goldtone” that “I never, as they say, touched the stuff,” Philadelphia’s Kurt Vile has been kickin’ it stoner-style for fifteen years and seven solo albums. He excels at crafting long, lazy-paced acoustic guitar odysseys that provide comfortable space for reflection and good vibes. Always thoughtful, often pensive, and usually with a healthy dose of wit, Vile is a restless guitar player and songwriter, and this year released Bottle It In, possibly his best solo album yet. To these ears, Vile is leaning into some of his greatest strengths, packing in three ten-minute long highlights, and displaying a range of mood and vibe that keeps the 80-minute runtime feeling breezy. Early singles “Loading Zones” with its bright acoustic guitar textures, and the long, meditative “Bassackwards,” are the perfect one-two introduction to the simple pleasures offered by Bottle It In. 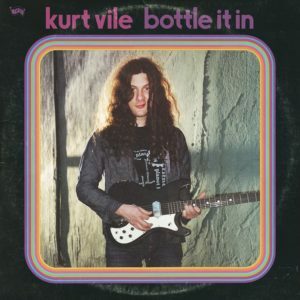 May Kurt Vile’s muse, be it cannabis-derived or otherwise, never run out of steam. Dude makes basically the perfect music for walking around your little town with the headphones on, people-watching and enjoying familiar surroundings, so I’m going to recommend something more sativa-dominant for this album. High End Farms, right here in Bellingham, grows the best Lemon Skunk I’ve had – strong, stoney, and terrifically happy. A bowl of potent, locally-grown cannabis and a beautiful hometown to explore; what could be better? 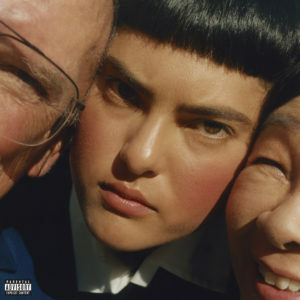 California indie-pop songstress Miya Folick this year makes good on the promise of 2015’s Strange Darling EP with Premonitions, her first full album, and I have no qualms about calling it one of the best debuts of 2018. Folick’s voice has a noticeable confidence; this kind of delivery could come from an artist four or five albums deep and nobody would blink an eye. It only takes one listen of midtempo synth-pop single “Stock Image” to hear what I’m talking about – the second its ascendant first chorus kicks in sounds like glowing embers bursting into flame. The entire tracklist rides this high-wire act wherein Folick balances an unabashed ear for polished pop with her own fierce individualism; the result is a record that sounds, to the ears, like a catchy radio-dominating smash, but feels to the heart like a confessional singer-songwriter album. Pop like this demands a strain that provides stress relief along with fun, happy social feelings. Growing Like a Weed (GLW) grows a strain called Pudding, which has been one of the Smoking Crow staff’s all-around favorite hybrids. It tastes sweet and earthy, and its strong, immediate high should have you giggling with friends, or receiving insights for your life — the perfect companion to the youthful wisdom of Miya Folick’s Premonitions. What’s a PNW fall without Fleet Foxes? After blessing the world with their first release in six years last year with Crack-Up, this fall the band compiled their first two EPs and debut album, along with a collection of rarities, for this box set/reissue. 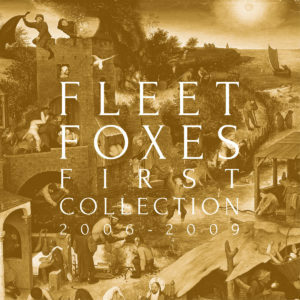 For the unfamiliar, this is an excellent opportunity to check out Fleet Foxes and the Sun Giant EP, and for the more committed fans, this may be the first time you can hear The Fleet Foxes EP and the rarities included here. These lesser-known gems are fascinating; they’re a snapshot of a band still finding itself. Thus we get the Death Cab-esque “Anyone Who’s Anyone” right alongside the stunning, prophetic “Icicle Tusk,” not to mention the early, lo-fi basement demos that show a rougher side to the songwriting that eventually became the gleaming, reverbed songs on the band’s debut. To me, Fleet Foxes make perfect fall morning music. 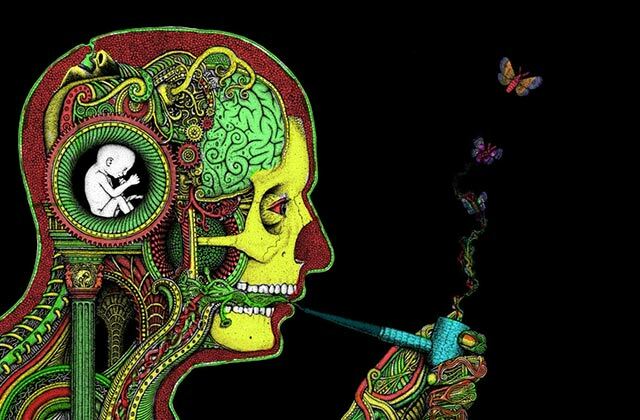 I like to throw on any of their albums after waking and baking, letting my sativa high and the sun-dappled acoustic folk tones mingle for a morning of zen energy. One strain stands above the rest for this — Lambsbread. This legendary landrace sativa provides a pure, stoned alertness, not unlike a Green Crack. Smoking Crow carries this strain from Rogue Raven Farms, and it’s top-notch. Pick some up to start your dim, wintry mornings off right!